Important: if you use Windows, make sure to press the OK button for preferences changes to be saved. If you use a Mac, preferences changes are automatically saved. Always On If this option is checked, HTTP headers will be modified even if the administration window is closed. If left unchecked, HTTP headers will be modified only when the administration window is open. 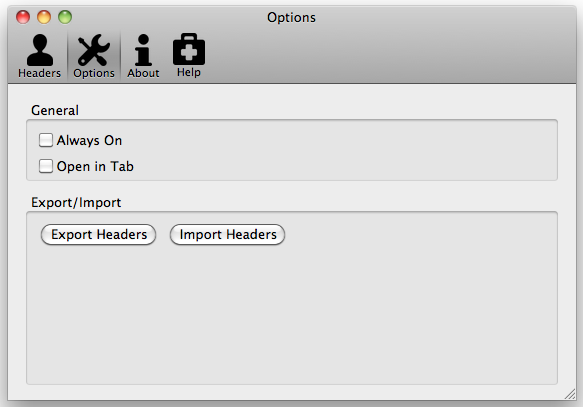 Open In Tab Modify Headers will open in a new tab instead of a pop-up window.